The 991 Turbo / S is an amazing supercar, delivering a combination of performance and refinement unheard of in any of its contemporaries. So much refinement, you literally can't hear it--unless at wide open throttle, in which case the sound emanating to passersby resembles a fine German vacuum cleaner. Not good. 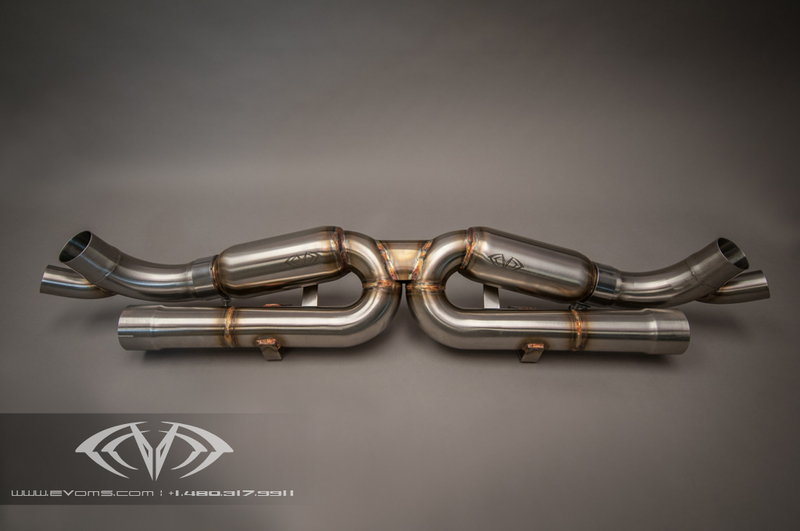 Enter: Ardent Performance Clubsport exhaust system. 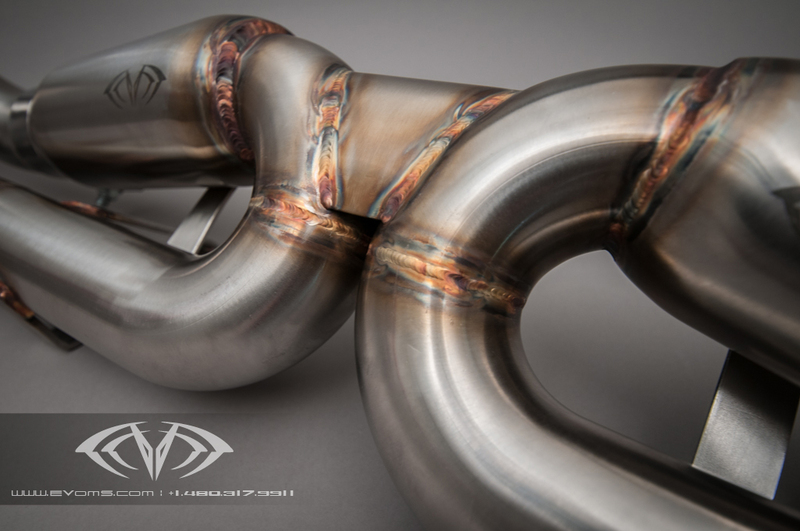 Craftsman made in Arizona from mandrel bent, TIG-welded and back purged 304 stainless steel and using 200 cell HJS catalytic converters, the Clubsport exhaust uncorks the 991 Turbo engine and gives it a classic water cooled 911 Turbo sound--deep, aggressive, and all business. 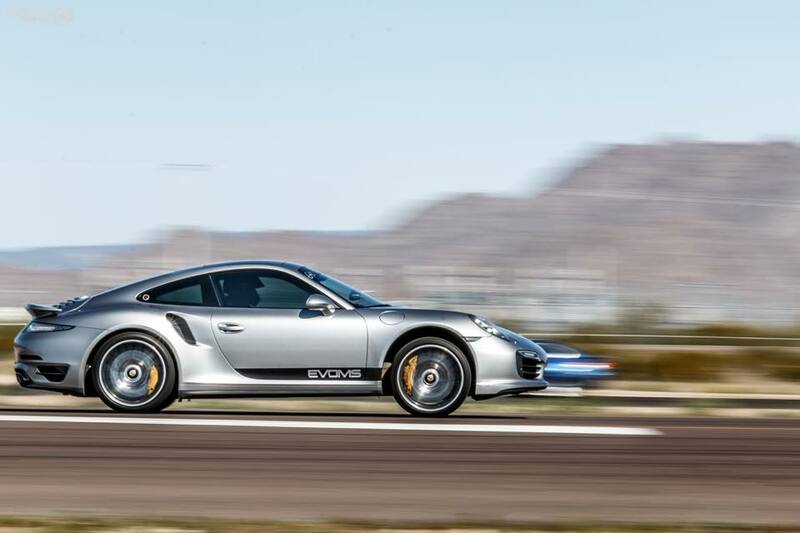 "Evolution MotorSports attacks the Porsche 991 Turbo / S with a vengeance and designs a Performance Exhaust System that not only adds a significant power and torque, it saves weight and gives the Turbo the growl it's worthy of." Based on our extensive experience modifying 911 Turbos going back almost twenty years, we went about building an exhaust that achieved an improvement in performance and sound compared to stock while maintaining civility. We wanted a system that could support up to 800hp; had a clean and refined tone under all conditions--start up, idle, gentle driving around town, and at wide-open-throttle and high rpm; and that was minimally intrusive inside the cabin while cruising. After designing and testing several designs, we landed on one that met our goals and delivered a crowd favorite sound.